Next time you're thinking of what to get for your senior loved one's birthday, consider the gift of a massage. This complementary therapy has more advantages beyond enabling relaxation. It has been shown to provide incredible health benefits, too. If you have a loved one residing in assisted living memory care, you likely know that there is no current cure for Alzheimer's disease. However, there are a variety of treatment options that can help seniors cope with their symptoms. Wandering, that is, getting lost in places that should be familiar to the person with this condition, is a particularly common side effect of Alzheimer's disease. In fact, according to the Alzheimer's Association, three out of five people with this form of dementia will wander. A study published in the Journal of Gerontological Nursing sought to determine whether massage therapy could reduce this symptom of agitation. Researchers found that applying a slow-stroke technique to the senior's back reduced occurrences of pacing, wandering and resistance. The National Institutes of Health noted that approximately 33.6 percent of adults age 65 and older suffer from osteoarthritis, a condition characterized by joint stiffness and pain. Though it ranges in severity, osteoarthritis is a frequent cause of disability in seniors. As a result, many people turn to massage therapy to alleviate their osteoarthritis symptoms. In a 2004 study, researchers from University of Medicine and Dentistry of New Jersey used massage therapy on 68 participants with knee osteoarthritis. For eight weeks, one group received two Swedish massages per week while the control group did not. After the trial ended, those who were massaged experienced decreased knee pain, greater range of motion and better walking abilities. Massage therapy not only reduces discomfort in those with osteoarthritis, it may also help them stay mobile, which is a crucial element to senior health. 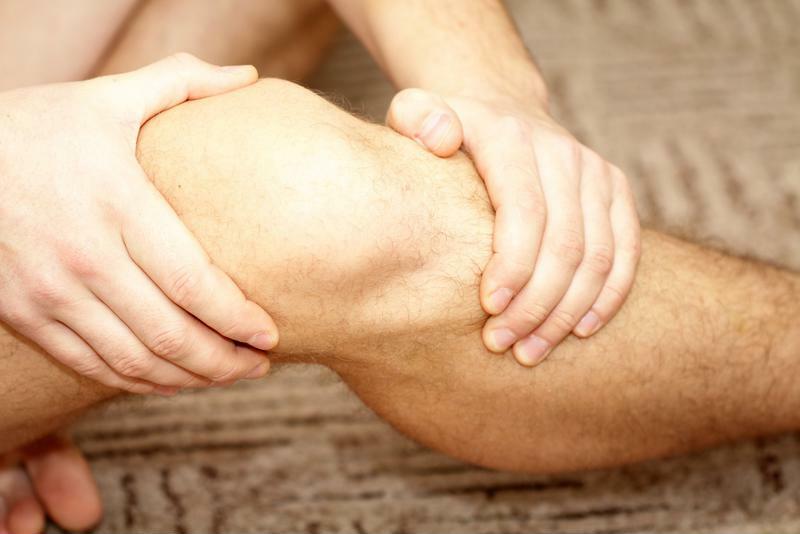 Massage therapy may benefit those with knee osteoarthritis. With major life transitions and switching family roles, the changes that come with getting older may cause depression in seniors. This condition isn't just about being sad; it can also cause sleep disturbances, difficulty concentrating and social withdrawal. If you notice any of these behaviors in your senior loved one, speak with an Edgewood staff member and discuss possible treatment options. While professional medicine is often necessary, massage therapy may also provide benefits. A meta-analysis published in the Journal of Clinical Psychiatry reviewed 17 different studies on the topic. Researchers determined that the complementary medicine plays a significant role in alleviating symptoms of depression. The stretching and manipulation of muscles promotes blood flow and relaxation, two elements crucial for reducing the physical and mental repercussions of this condition. It's important to note that massage therapy is a complementary medicine, meaning it should be used in conjunction with other forms of treatment. You should also speak with your loved one's doctor before incorporating any other regimen into his or her treatment plan. Additionally, some of the above conditions may be associated with greater sensitivity to pain. If you're worried about the amount of pressure the massage therapist will apply, accompany the senior to the pre-treatment interview and bring up any concerns you have.